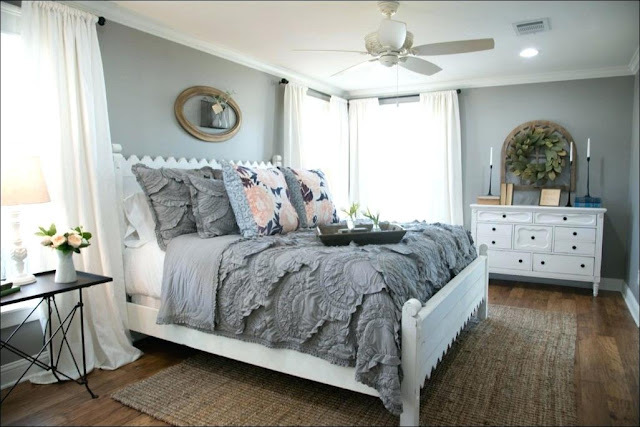 Our Master Bedroom is always the room that gets left out, but in this house we decided to tackle our bedroom as one of the first rooms that we would makeover. I’m sure I’ll be doing little things here and there to add on, but for now our Modern Farmhouse Master Bedroom Makeover with Hodecori.com is complete and my new favorite room in the house. If you’re here visiting from www.hodecori.com, Welcome! I’m so happy to have you over. If you’re new here I’d love for you to read a little bit more about me here. But for now grab a cup of coffee and enjoy our Modern Farmhouse Master Bedroom tour! 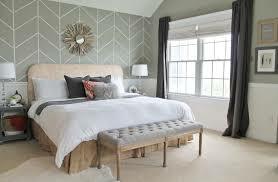 The design of our bedroom was created around this Upholstered Panel Bed. Our bed resides in the center of our room and is the obvious focal point of the space. In order to maintain my love for all things industrial I paired our tufted bed with these Stourton Side Tables. Enjoy a few more pictures, and don’t forget to check out the source list at the bottom of the post!